The student body elected Michael Grosch for Student Government Association (SGA) president for the upcoming academic year. During election week, Grosch campaigned with four other candidates who called themselves “Team Unstoppable,” and identified with bowties. 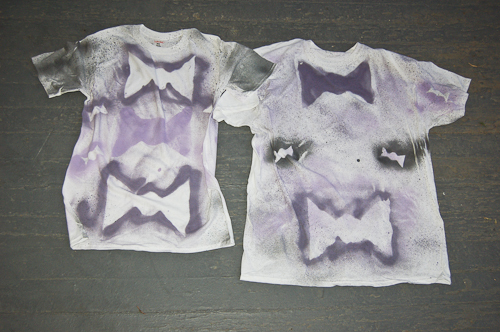 Shirts designed as part of the 'Bowties" campaign. The five campaigned on similar platforms. Grosch denied the campaign was a collation against his presidential candidate opponent, Javier Cardenas. On April 15, SGA President Michael Grosch and his “Team Unstoppable” campaign held an event called Rock the Vote. The event took place in Webster University’s Alumni House. Katie Maxwell, future SGA vice president, said she shares Grosch’s belief. However, she acknowledged that in the end, the whole campaign was a competition. Cardenas had a different view on the campaign. He said the campaign was set up for voters to vote against him. “(Grosch’s team) thought I was a threat enough to Michael that they had to gang up on me,” Cardenas said. Grosch said in his campaign bio prior to the elections that his campaign was about follow-through. One of his goals was to bring the university and the City of Webster Groves together. Grosch said SGA representatives plan on going to Webster Groves City Council meetings this summer to propose more crosswalks on campus. Grosch also said he knows how to be a president. “I know how to get things done,” Grosch said. Grosch also said in his bio that SGA is in a do or die situation. “We can either continue moving on or we can stop and just go back to being a bank and just let it go,” Grosch said in a pre-election interview with The Journal. In Javier Cardenas’s election bio, he claimed that SGA is preoccupied with its banking duties, and because of this, they cannot fulfill student advocacy. “Banking is important, but advocating is more important,” Cardenas said. In his bio, Cardenas said he was concerned students were unsure of what SGA does. He also stated that the current SGA staff does not take advantage of its senators. “With students that join SGA, there’s a large possibility that they will drop out, or they don’t run for re-election because they don’t feel that the experience is gratifying them,” Cardenas said in his bio.